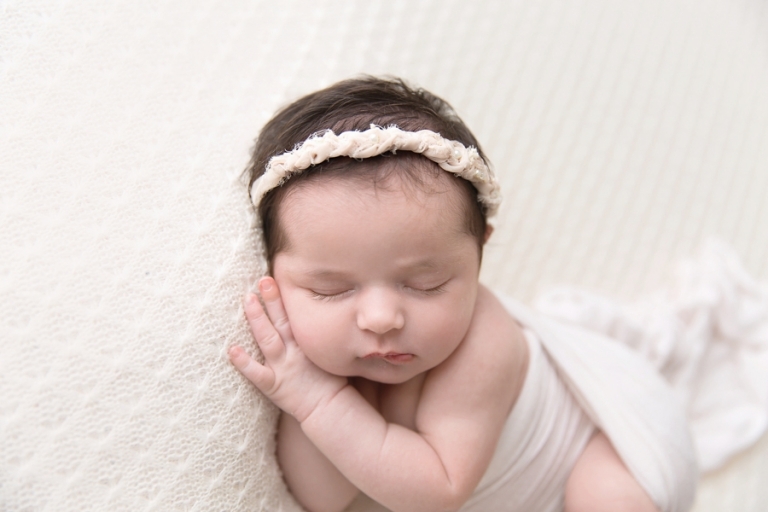 Oh sweet Olivia, welcome to the Cleveland Ohio newborn photographer blog! My goodness, what a gorgeous girl! This is my second time working with her family, and let me tell you, their daddy is certainly in trouble when these girls get older. They are absolutely stunning. All that dark hair and those lashes….it just isn’t fair! Miss Olivia was my first baby after coming back from a workshop with the crazy talented, Amy McDaniel of Dewdrops Photography. She is one of the best newborn photographers in the world, it was an amazing opportunity to learn from the best! Continuing my education is a top priority for me. I want to make sure my clients are getting the best possible images and sessions. This color is perfect for fall and looks stunning on this sweet girl. 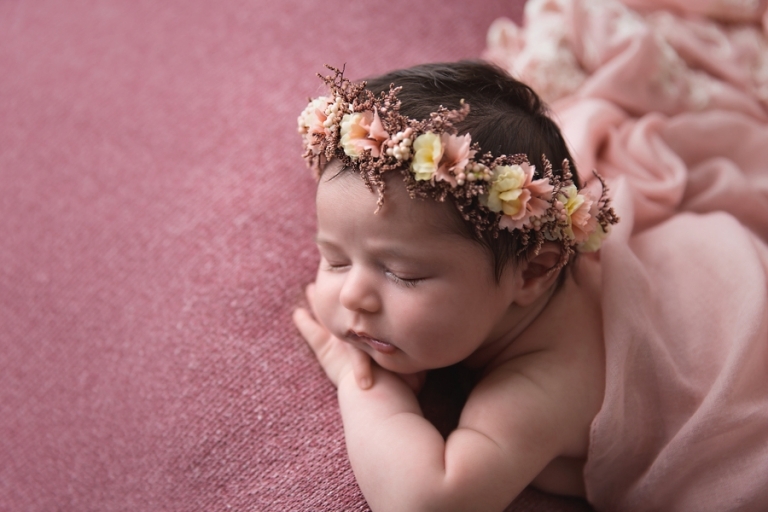 The floral headband from Baby Bliss Props fits Olivia perfectly. What a little angel! Little profile are the best aren’t they?? This one I could not decide between black and white and color. Honestly, I love both and that does not happen very often! I’m so loving green lately! The way that her big sister is looking at her is nothing short of swoon worthy. I mean what could melt a momma’s heart more?? We did this set up for holiday cards. This year I’m loving the blue and grey tones for Christmas! The backdrop is hand painted by yours truly. You can see more of this drop and it’s creation on Instagram. Thank you so much for stopping by the blog! 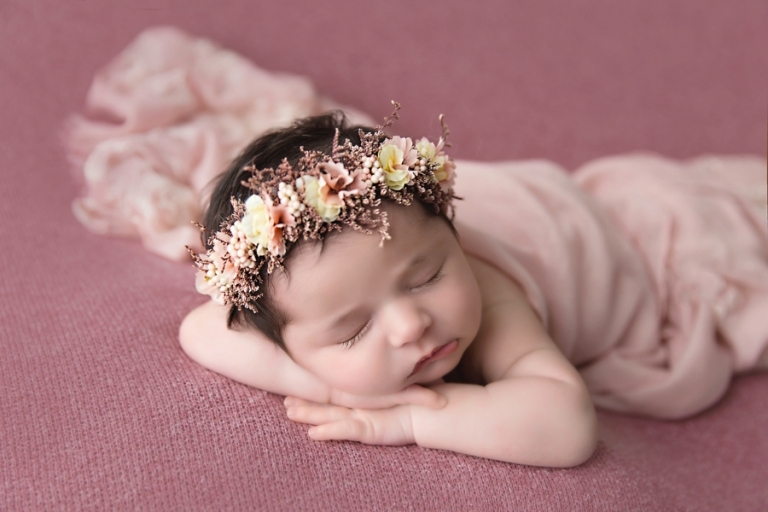 Looking for Cleveland Ohio newborn photographer? 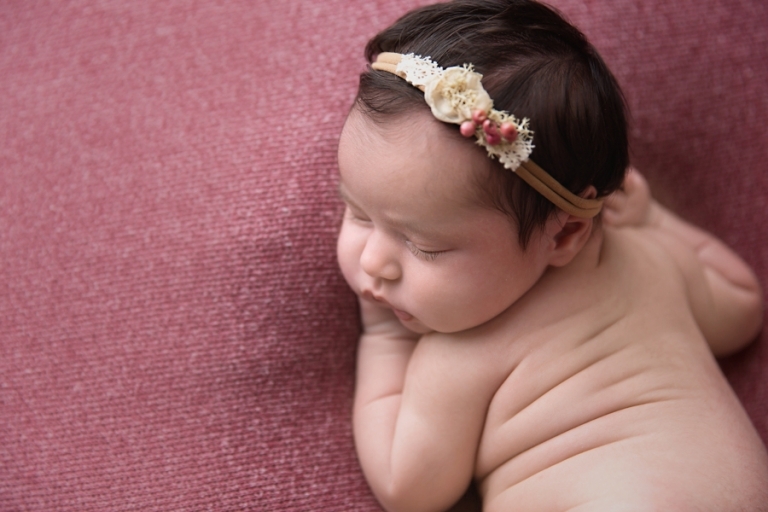 Please check out similar sessions on the blog and stop by the portfolio and newborn session information page. Currently, I am booking 2018 due dates and the best time to schedule is while you are still pregnant, as these moments are of sleeping are fleeting.